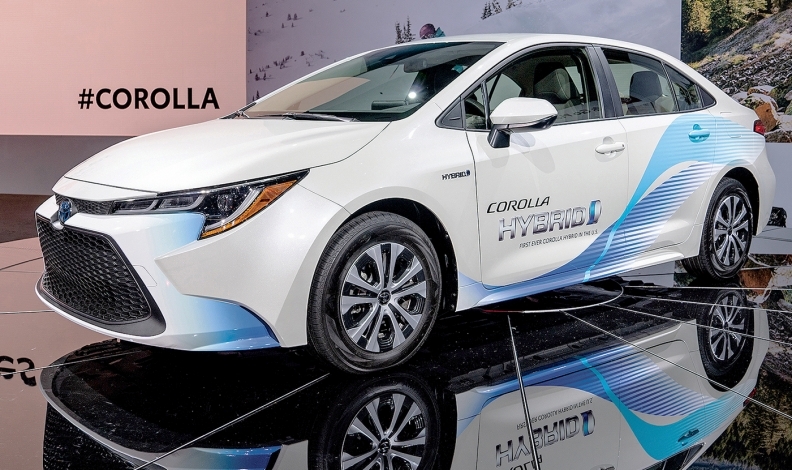 The Corolla Hybrid gives Toyota a better chance to spread its hybrid technology globally. LOS ANGELES — In a market now tilted 70-30 toward light trucks, why does Toyota bother to invest in cars? Because in that smaller market, Toyota is a giant. And it has even more ground to stomp now that the Detroit 3 have decided to vacate several car segments. "There are still people out there looking for passenger cars," Bill Fay, senior vice president of automotive operations at Toyota Motor North America, told Automotive News. "And if there are less options out there in the market, I guess we figure, for now, that's good for us." Thanks to the versatile Toyota New Global Architecture underpinning more of its vehicles, the company is able to slice and dice that car market in new ways to generate volume and profit. "The TNGA platform as a strategy has opened us up to just about everything that a manufacturer would want to be," Jack Hollis, general manager of Toyota Division, said at the Los Angeles Auto Show, where Toyota introduced a Corolla Hybrid, an all-wheel-drive Prius and racing-inspired editions of its Camry and Avalon sedans. TNGA vehicles are characterized by a lower center of gravity, increased body rigidity and decreased chassis friction that combine to produce better looks and a more spirited driving experience, Toyota says. In addition to more creative styling on the Camry, Avalon and RAV4, Hollis said, "It has allowed us to also create more efficiency and more effective use of space. So while we might not have been able to fit a certain engine into a certain vehicle [before], now it can be. The TNGA has opened almost every single vehicle to growth and innovation." The Corolla Hybrid illustrates the segmentation possibilities. Under the skin, the vehicle is almost identical to a Prius, according to Yoshiki Konishi, who is chief engineer of the Corolla and also led the development of the new architecture. The main differences, he said, are the body shape, the suspension and the software that controls acceleration and engine feel. So why bother with two nameplates for small hybrids? For one thing, the Corolla, as the world's best-selling nameplate, is in a better position to spread Toyota's hybrid technology globally, Konishi said. The same Corolla Hybrid is going into 90 other countries and regions, Konishi said. In the U.S., Hollis explained, it helps in two important ways: It gives Toyota a higher-volume car to help meet fuel economy standards, and it gets hybrids into the driveways of more Hispanic customers, who have strong affinity for the Corolla but resist the Prius. As competitors drop their car lines, Toyota is charging into more such niches, emboldened by the performance chops of TNGA vehicles. The Corolla, for example, is available as a hatchback and with a six-speed manual transmission. The hatchback also can accommodate a hybrid drivetrain. Even with more of its vehicles on the platform, Toyota hasn't been immune to declining U.S. car sales. Prius sales are down 17 per cent this year through October. The Camry is off 6.1 per cent. The Corolla is down 11 per cent. The numbers aren't as bad in Canada, where Prius and Camry sales are up 12.8 and 2.5 per cent, respectively. Corolla sales are down 7.2 per cent. 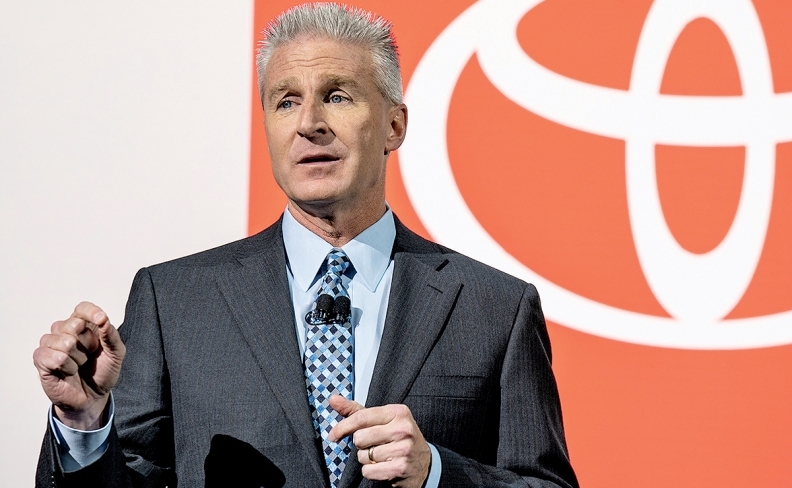 So Toyota executives are zeroing in on opportunities to make those sales more profitable. Before the new underpinnings, Toyota already was steering Camry shoppers toward its sportier and higher-margin SE and XSE models, and it accelerated that with the TNGA-based 2018 model. "The consumer acceptance of that really kind of led us to sit down one day and say, 'What about a TRD option?' " said Fay, referring to the Toyota Racing Development motorsports and off-roading outfit. "Not only can we leverage what we're doing with NASCAR," he said, "but we can take what's been pretty successful for us with our other vehicles and put it on two important cars." The Camry and Avalon TRD models will go on sale toward the end of 2019. Could a TRD Corolla be ordered up as well, to go up against the Honda Civic's sporty variants? "I hope," said Konishi, declining to comment on any future product plans but clearly relishing the idea. "Technically, it's possible." The TNGA configuration also made an awd Prius possible with little intrusion into interior space, said Shoichi Kaneko, chief engineer on the Prius. Modified from a version sold in Japan, the new Prius AWD-e got the green light for the U.S. based on demand from Northeast U.S. dealers who said their customers wanted a more weather-worthy Prius, Kaneko said through a translator. The awd option will cost about US$1,000 on the higher trims. Even as Toyota diversifies its cars, executives are signaling a need to winnow the lineup. Small-volume, low-margin vehicles such as the Yaris subcompact, whose sales are down 38 per cent this year in the United States, may get a hard look, Toyota officials said, especially now that Toyota has a more diverse Corolla family to provide a gateway to the brand. Yaris sales are actually up 4.2 per cent in Canada.